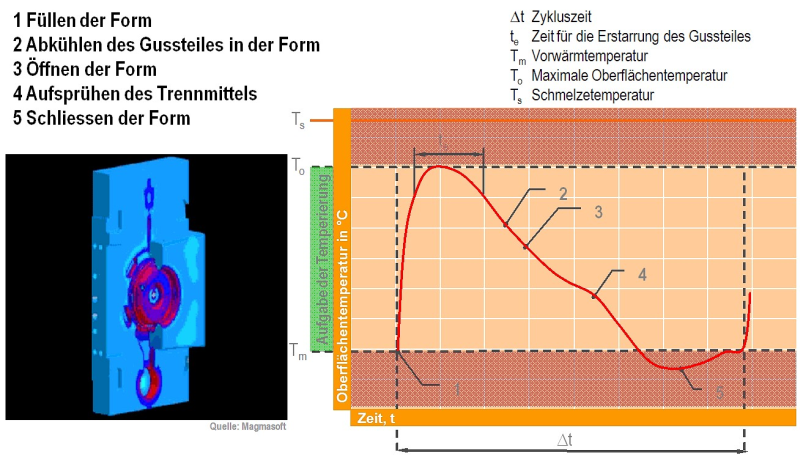 Castingmold temperature (see also die heating). Fig. 1 illustrates the principle surface temperature curve of a die casting mold during a die casting cycle. Die heating is performed to set the mold to operating temperature (see die pre-heating) and to retain it in a certain temperature interval. The mold temperature depends on the distance to the mold surface. Fig. 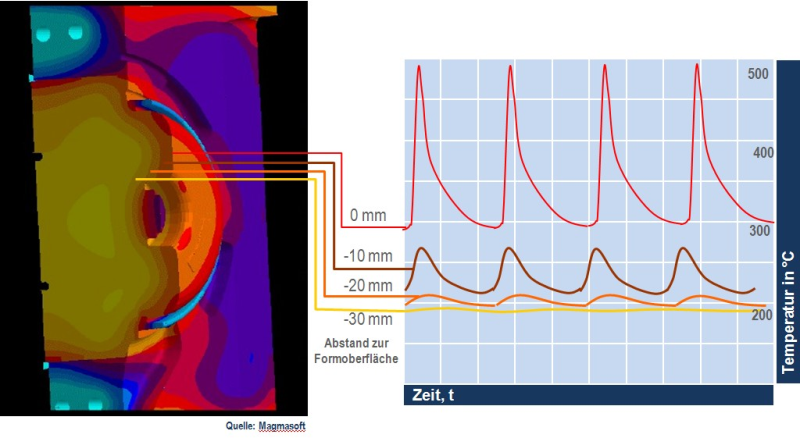 2 illustrates the mold temperature with distances of 0, 10, 20 and 30mm to the mold surface. Robamat Automatisierungstechnik GmbH, aic Regloplas GmbH, Thermobiehl GmbH, ToolTemp GmbH.